...is now available. For individual copies click here. Please contact Norman for more information about purchasing multiple copies. We are in the midst of a planetary crisis - socially, environmentally and politically. Prevailing economics favour growth, at any cost. Among young people, mental health issues and obesity, among other issues, are dramatically rising. Against the wider context of increasingly stark environmental predictions, we urgently need to provide children with tools to support their wellbeing today and enhance their resilience to meet whatever demands will come in the future. Wisdom & Wellbeing aims to do just that. A well-known short story is The Loneliness of the Long Distance Runner. Of course, loneliness is very much part of human life – and working on our own (as we often are doing as yoga teachers) can accentuate these lonely feelings… My aspiration is that the mentor groups provide support to enable sustainability. Few yoga TTs offer ongoing support after graduation. Many yoga TTs can be limited and basic. A 200-hour training is a drop in the ocean. Of course, we all have to start somewhere. But continuing learning and continuing support is essential for us to evolve and grow as yoga teachers. Over the past fifteen years, I have been involved in many yoga Teacher Trainings: as a participant, as an assistant, as a teacher. Much can happen! Expectations are disappointed, buttons pressed, hopes disillusioned. Inevitably there are fears, insecurities and negativities. 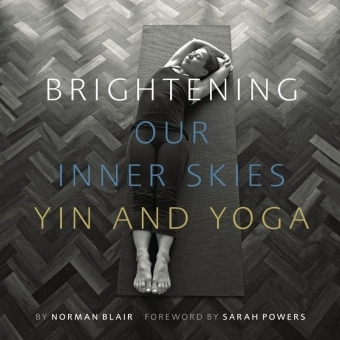 Here are some ideas for how we can teach Yin yoga. This is from my experience and the experience of other teachers. Personally I have an addictive temperament. Cannabis, chocolate, sweet things, amphetamines, needing to be seen. All these I have been addicted to at different times…what encourages calm perception and what heightens hysteria? What assists transformation and what fuels materialistic consuming? What clarifies and what mesmerises? Anything does happen; it is true... Life is constantly surprising with its swerve balls and sudden shifts... it happened very suddenly because I had fallen headfirst down the stairs. 14 stairs from top to bottom. En route I banged into an able crystal, breaking it into two with my head. I think that I have a thick skull! An acronym is an abbreviation, used as a word, which is formed from the initial components in a phrase or a word. Usually these components are individual letters… I know that there are many more – there could be a growing list of acronyms (GLA). There is great suffering in this world. There are tens of thousands of human beings putting themselves at enormous personal risk in their flight from war, fear, disaster and strife... there are countless individual stories of difficulty and illness, of loss and struggle. A question for us is, 'What can we do?' In asking ourselves this question, we are applying our awareness to what is in and around us. An essential part of awareness is considering our personal behaviour and how we live our lives. This can be called a matter of ethics and morality. "When I first taught yoga in 2001, I did not know what hypermobility or being too flexible meant. I remember Richard Freeman saying in June 2005, “the curse of flexibility and the blessing of stiffness”... The way that I practice and teach Yin yoga has changed considerably... In my Ashtanga practice, I used to drop back into urdhva dhanurasana and (sometimes) come back up to standing. Now I don’t. Change happens." Events from my life and the influence of various forms of practice on my life; reflects on a few of these experiences as a way of learning and hopefully helping, a transmission of stories from warm hand to warm hand. Philosophy, practice, principles, postures of yin yoga. Looking at the joys and pains of Bikram with a nod to Ashtanga, inspired by Hell-Bent and Sacred Fire. To start with words from a song by Katy Perry: “lost my discretion…caught my attention” (‘I kissed a girl’). This article is an attempt to make sense of our relationships within the yoga world (particularly that of teacher/student). It proposes specific ways of dealing with some of the difficulties that arise within these relationships. And it is significantly inspired by what has been happening with John Friend and Anusara. Too often we are too stuck in ways of seeing: how we perceive this world and our lives. This piece attempts to encourage a different way of seeing drawing inspiration from Buddhist teachings and radical politics such as the Occupy movement. Words from various people about practice, meditation and yoga. A review of three quite different books. Quotes that I have collected over the last ten years. The purpose of writing is to encourage debate and dialogue amongst practitioners. Some of what is written might be controversial but this is not a rocking of the boat simply for the sake of provocation. If I see an elephant in the room it needs to be said – even if that elephant is Ganesh. This is a heartfelt attempt towards understanding this tradition and the possibilities for transformation. A comparison of different tendencies within yoga from the commercialised to the radicalised. A catch-up and a chat with yogi blogger Lizzie Reumont after a yin yoga class. An examining of the roots of yoga practice and what influences the physical postures. Practical ideas and resources for establishing a meditation practice. A review of Joyful Wisdom by Yongey Mingyur Rinpoche. Some thoughts after a meditation retreat.